Decluttering your home is about more than just being tidy. It’s a mindset. I’m all about decluttering here on Keep Calm Get Organised. I strongly believe that clutter causes stress and chaos, not just in our homes, but also in our minds. Decluttering your home frees up space both physically and mentally. 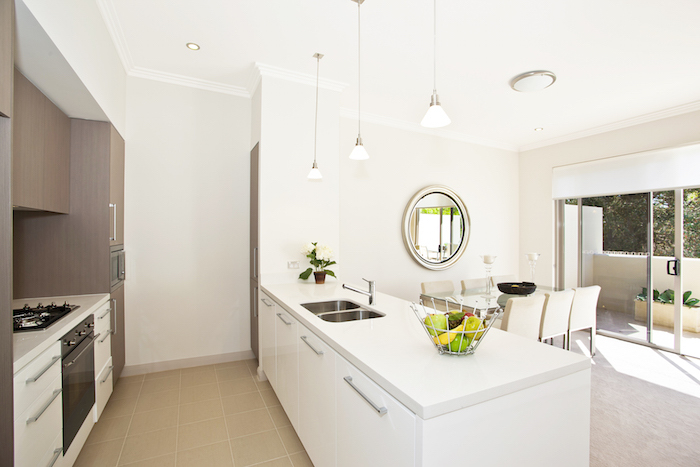 It allows you to create a home that is tidy, clean and refreshing. A place where you can relax and rejuvenate, not one that causes you stress and overwhelm. Clutter can feel overwhelming, and working out how to declutter your home and where to start can seem a challenge too big to tackle when your home is filled with mess and chaos. There are many approaches to decluttering and plenty of people out there who will tell you how to declutter your home and live a more organised life. Some of them offer excellent advice but many approaches are unachievable for the average family. Particularly if you have young kids! My approach to decluttering your home and living an organised life is all about strategies that are realistic, achievable and sustainable. I’m not about having a perfect show home (even though I’d LOVE that), but I am about tips and ideas to help you beat clutter and live in a more organised, clutter free home. You’ll find heaps of tips on decluttering your home throughout the blog (including a step by step guide in my eBook on decluttering as well as the free 30 Day Declutter Challenge). I’ve also answered some common questions below. Decluttering is basically about simplifying and minimising. It’s about clearing out and streamlining, keeping only what is needed and useful. People talk about decluttering their home, their mind, their finances and their lives. It’s all about clearing out things that don’t add value (emotionally or practically) and that are creating a sense of chaos, clutter and overwhelm. Clutter breeds chaos! Not just physically but also mentally. There is plenty of research to show how clutter negatively affects your ability to focus. It competes for your attention and makes it difficult to process information. There are also studies showing that dealing with clutter causes spikes in your stress hormones, and it is well known that long term stress is bad for your health. Living in an organised, clutter free home gives you physical space, it makes it easier to find things, it prevents the build up of mess and it allows your brain space to relax and rejuvenate. Help! I want to declutter my home but where do I start? If clutter has got out of control and you are feeling totally overwhelmed, then there are a few steps I would suggest to help you get started on the decluttering journey. Start by getting rid of as much stuff as possible. Don’t worry about doing it in a specific order, just get rid of it! Start with things that can be thrown away. Grab a box or a bag and just start chucking stuff. The less stuff you have to deal with the easier it is. As you see things leaving your home it will also give you motivation to continue. Generally I’m an advocate for decluttering by category, so working through books, then DVD’s, then clothes etc. This said, psychologically it can be helpful to have one “clear” area of your home. If you are feeling overwhelmed, start by tidying up a single main room in your home. Even if it means you need to put things into boxes in another room, start by getting one room sorted and tidy. This then can become your retreat from the chaos. Once you’ve done that start decluttering by category. Start by reading Clutter Breeds Chaos & Tidy Transforms: Practical steps for transforming your home from chaos to calm, and work through the checklists that are provided. My motto is do you use it, do you need it and do you love it. Don’t keep things “just in case”. Be ruthless! Just start. Don’t overthink it, just start getting rid of things! Deal with rubbish first. Start by going through each room with a big garbage bag and throwing away anything that isn’t saleable or suitable for charity. Declutter by category not by room. It is less overwhelming to declutter by category (such as clearing out DVD’s or linen) than to tackle a whole room. I have full checklists in the decluttering eBook if you are looking for ideas. It’s about progress not perfection. Don’t be discouraged, clutter takes time to build up and it will take time to deal with. Check out the decluttering category for heaps more ideas and tips on how to declutter your home or work your way through the 30 Day Declutter Challenge. Trust me, you’ll feel such a huge weight lifted when you finish!